The ElderServe at Night program is a “night camp” for dementia patients who have trouble sleeping or settling down at night. Many dementia patients suffer from “sundowning,” a condition which causes confusion and fear as nightfall approaches. The ElderServe program offers a variety of activities – including music and dancing – to entertain and stimulate dementia patients throughout the entire night. Family members that provide care to a dementia patient may not have a program like ElderServe nearby, or be able to afford the considerable cost. Studies suggest one of the major reasons families admit loved ones into nursing homes is sleep deprivation. No one can provide adequate care when they are constantly woken up in the middle of the night, which happens all too frequently with dementia patients. Home care is an excellent alternative to nursing home care, and is often preferred by both patients and family members. A quality home care system, such as ClearCare, offers sophisticated home care software which gives relatives 24/7 real-time access to their loved one’s point-of-care. Working with a home care providers allows family members to enjoy a full night’s sleep – crucial to maintaining good health. Caregivers can use ClearCare’s home care system and home care software to set nighttime tasks that will keep the patient active and stimulated during his restless hours. Many seniors, not just those with dementia, have difficulty sleeping. Care providers would do well to have a variety of activities in mind, or set as tasks in ClearCare’s home care software, for nights when their patients can’t sleep. Caregivers can make notes in ClearCare’s home care system which activities their clients enjoy, as well as how their daytime behavior is affected. ClearCare’s home care system and home care software are designed to help seniors enjoy safe and quality care at home – both day and night. 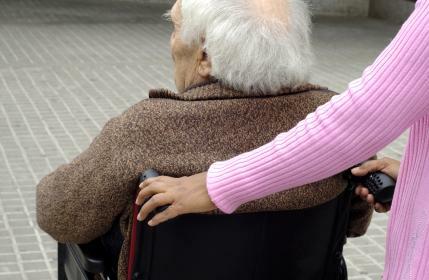 Families that aim to keep their elderly loved ones out of nursing home facilities often take on more responsibilities than they can handle – typically at a high personal cost. If you’ve found yourself in such a situation, the time for respite is now. Consider the many benefits of home care, both for you and the dementia patient. Remember to ask each home care agency if they offer ClearCare’s home care system and home care software for a quality guarantee your loved one deserves.